jBixbe gives you a new innovative way to debug Java applications on the conceptual level of the Unified Modeling Language (UML) at which they are designed and makes it possible to find not only simple bugs but also weaknesses and insufficiencies in application design. It shows also the big picture of your application so you can realize classes, objects, their relationships and interaction. Different view levels support top down debugging and simplifies debugging of multi-threaded applications. The well-known source code debugging has been fully integrated into the object-oriented visualization. Tell me more about the features and use cases or take the visual tour. 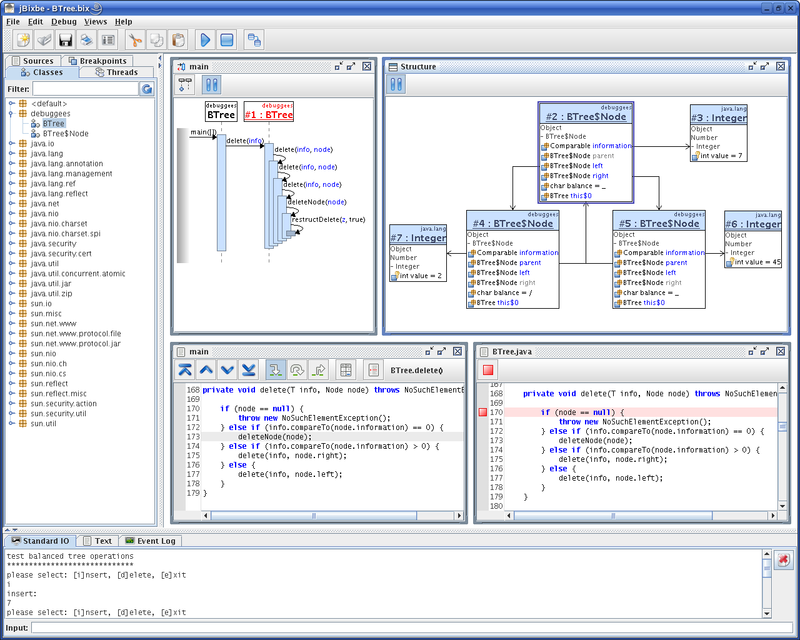 jBixbe is a stand-alone Java debugger that can be downloaded with a free trial license. A Personal or Company License is available for purchase.